This Case is sponsored by Milestone Medical, the technological leader in Microwave Accelerated Tissue Processing. Milestone manufactures instrumentation and accessories that enable Histologists and Pathologists to achieve the highest level of productivity, while maintaining their flexibility and safety. �Milestone�s family of rapid microwave lab stations allow tissue samples to be processed in a fraction of the time as compared to conventional methods, allowing for same-day diagnosis. �They also offer a line of digital imaging equipment for grossing stations and autopsy rooms. 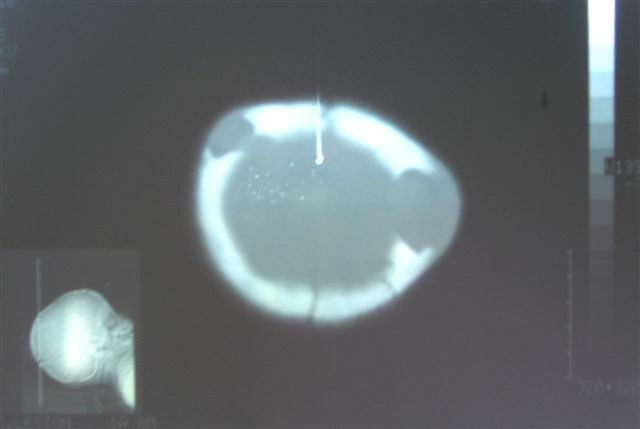 �These systems serve as a comprehensive method of storing macroscopic images of all specimens examined in the laboratory, providing an invaluable diagnostic database for routine grossing, teaching, and research.� For more information, please visit our website by clicking here. 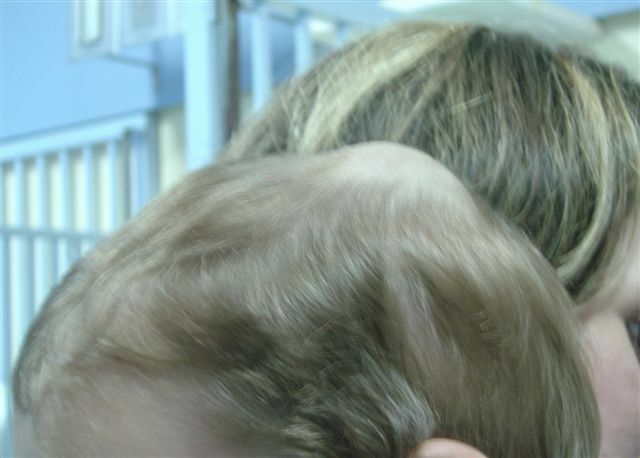 A two year old boy had a tender, palpable mass in his right parietal region (#1, #2).� Physical exam showed no skin lesions or enlarged organs, and there were no neurological abnormalities. 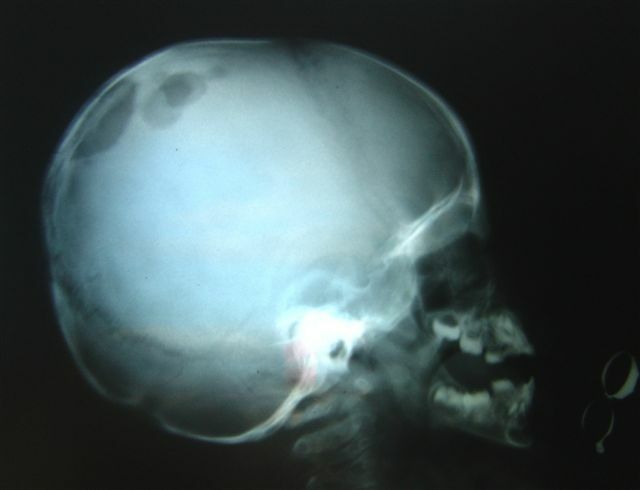 �X-ray films and CT scans of his skull showed lytic masses involving both parietal bones and extending into adjacent soft tissues (Xray, CT scan). �The base of the skull was spared. �Blood chemistries were within reference values. 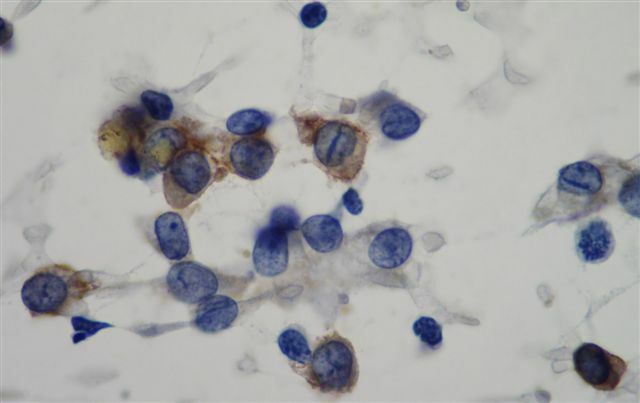 As is usual at our Institution, a fine needle aspiration biopsy was performed. 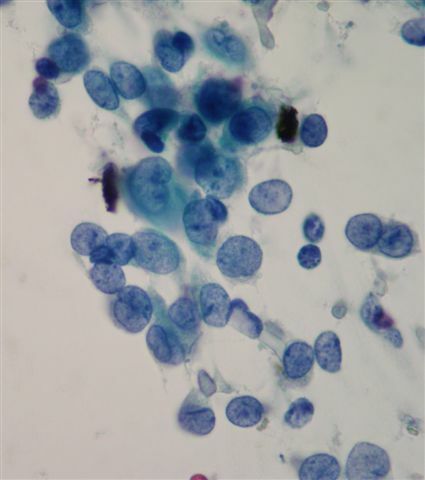 The diagnosis was confirmed by a strongly positive CD1a stain (CD1a). 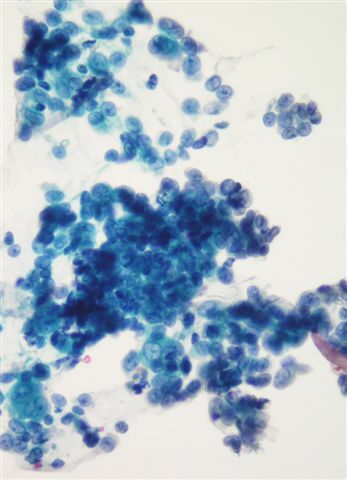 Grossly, it is a sharply circumscribed mass, often involving the skull, jaw, humerus, ribs or femur.� Microscopically, there is infiltration by Langerhans cells, which may be accompanied by other inflammatory cells, fibrosis and necrosis.� Langerhans cells, by both H&E and cytology smears, are large polygonal cells with abundant eosinophilic cytoplasm.� They have distinctive oval nuclei with longitudinal grooves resembling coffee beans, and no prominent nucleoli. Langerhans cells are immunoreactive for S100, CD1a, vimentin and Langerin, with variable CD68 staining.� They are negative for HAM56, CD21 and CD35.� Electron microscopy shows prominent electron dense cross striations, also called Birbeck granules. 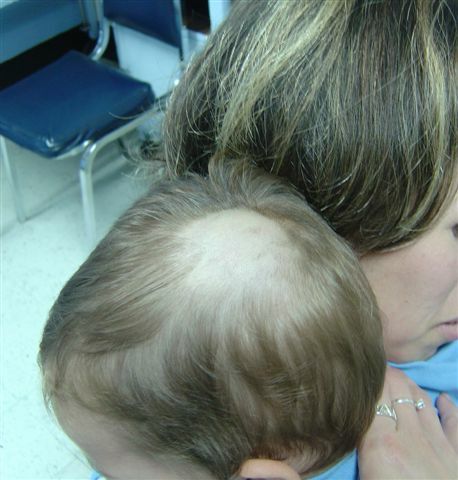 The differential diagnosis includes other histiocytic disorders, including sinus histiocytosis with massive lymphadenopathy, monocytic leukemia and mastocytosis.